Welcome to the January 2016 Luvz2stamp Club Project. This month's card kit project features Close To My Hearts XOXO Occasions stamp and the La Vie En Rose Paper Packet. The video I created is a little different from my usual videos, I was trying to find a faster way of producing the videos so I decided not to do any voice overs rather show the actual audio along with the real time frame of the video. Let me know how you like this format, I'd love to produce more video tutorials that are not so time consuming. Remember, all club members participating in the month of January will be receiving a set of pre-cut and pre-scored project kit along with the stamp set and embellishments needed to complete the project. Black and Gold Ribbon - 6"
La Vie En Rose B&T Paper - Card Inside - 0.50" X 4.25"
Layer A Card Base - The card base is a White Daisy card stock that measures 11" X 4.25", score at 5.50” and fold. Layer B - Using a tape runner adhere layer B on top of layer A.
Layers C - Using a tape runner adhere layer C on top of layer B.
Layers E - Using a tape runner adhere layer D on top of layer C.
Stamp the “Hugs and Kisses” sentiment on the center of layer F using a Pomegranate ink pad or similar color. 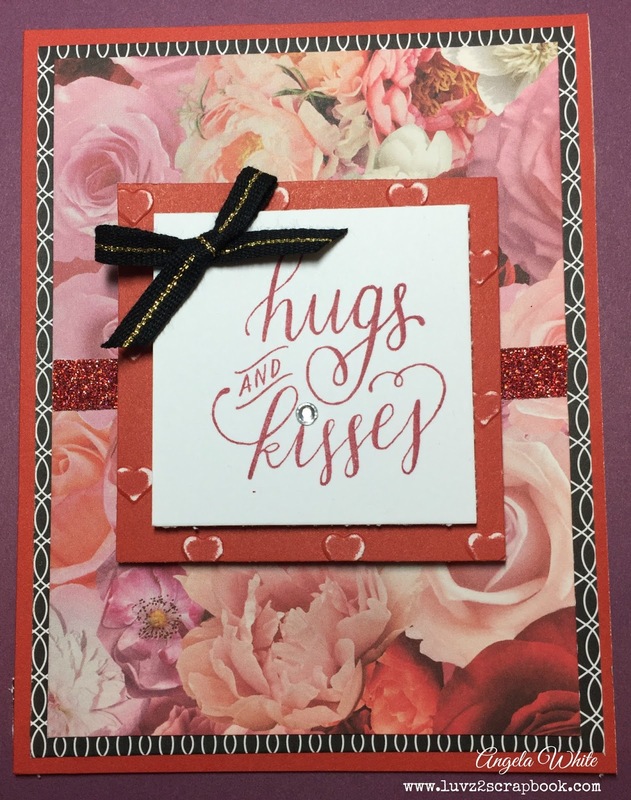 Adhere using a tape runner on top of layer E.
Using the Black and Gold Ribbon, cut to size, form a bow, and adhere on the top left corner of the “Hugs and Kisses” sentiment using a glue dot or liquid adhesive. Add clear sparkles on the dot of the "Kisses". Adhere assembled sentiment layer on top center of layer D using foam tape. 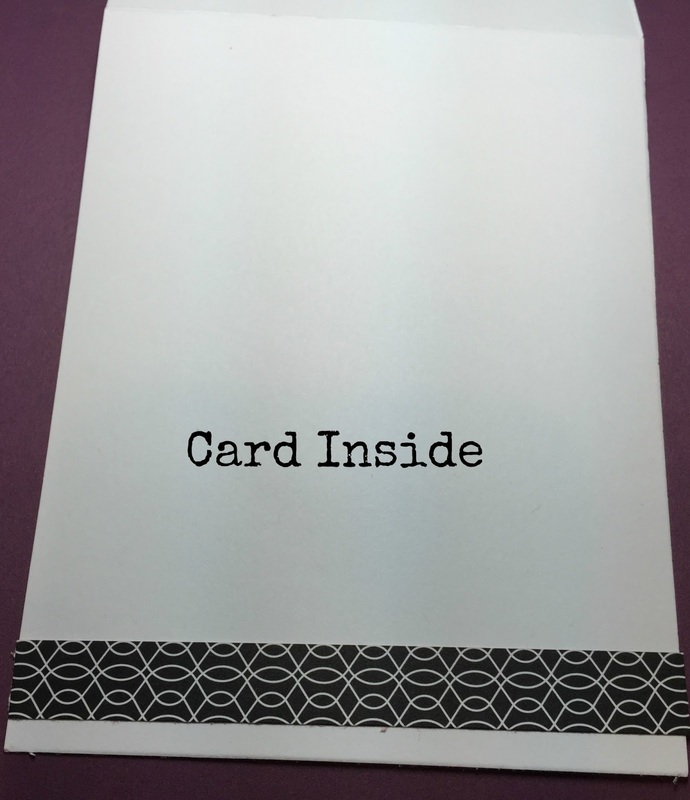 Cut the Red Shimmer Trim into 1" pieces and adhere on top of layer D toward the outer center. Adhere Layer F/E on top of layer D using foam tape. 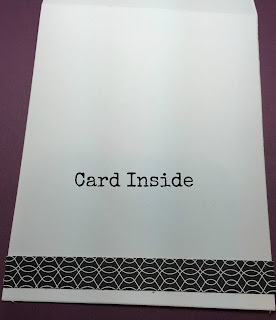 For the inside of the card, adhere the .50" La Vie En Rose B&T Paper on the bottom corner of the inside of the card ¼” from the edge.